Hempel's Eco Powerprop is ideal as a coating for propellers,.. 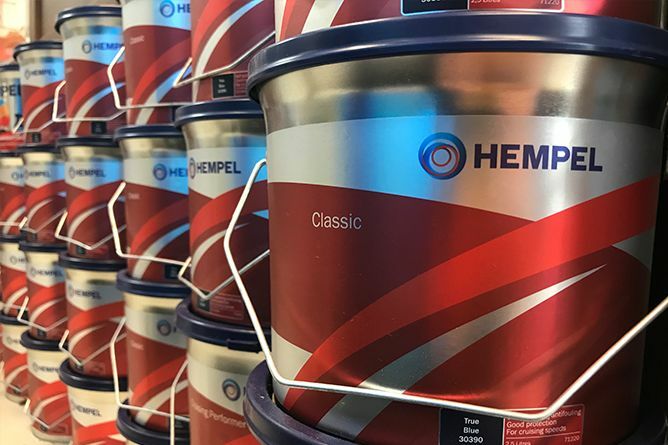 Since releasing their first antifouling over 100 years ago, Hempel have become one of the largest suppliers in the world. Their recently rebranded range of paints include the ever popular Hempel Classic, an antifouling extremely effective in colder waters. With filters including water type and colour, it's easier than ever to find the right antifouling for your boat. Plus, we have fantastic shipping options available including next day delivery and click and collect.